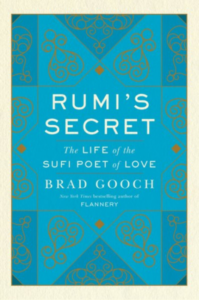 Brad Gooch returns to the show to talk about his new book, Rumi’s Secret: The Life of the Sufi Poet of Love (Harper). We dive right into Brad’s Orientalist fantasy of researching Rumi and the realpolitik that intruded on it (including getting detained at gunpoint), how he recreated the polyglot, multi-religious culture of 13th century Turkey (hint: it involved having to learn Farsi), the temptation to psychologize Rumi’s life, why the poet’s work has survived all these centuries (and what makes it so tweetable), what his own new fatherhood taught him about Rumi’s later years, and more! Give it a listen! 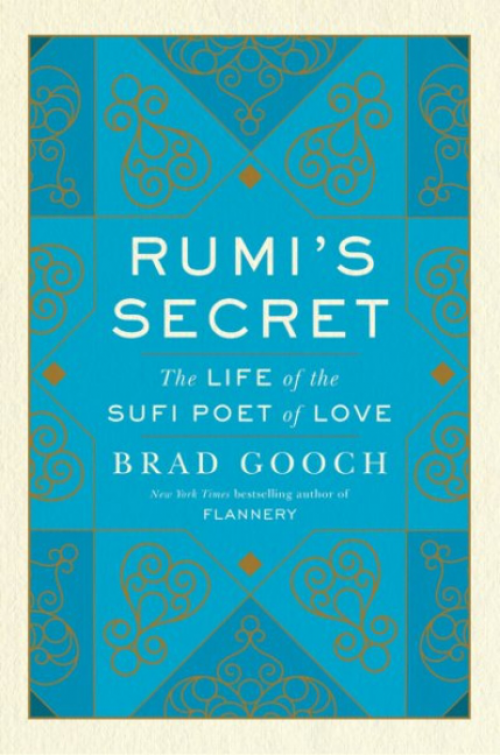 And go buy Rumi’s Secret ! NOTE: We talk about a New Yorker article during the conversation. It’s “The Erasure of Islam form the Poetry of Rumi”, by Rozina Ali. Brad Gooch is the author of the acclaimed biographies City Poet: The Life and Times of Frank O’Hara and Flannery: A Life of Flannery O’Connor , as well as other nonfiction and three novels. The recipient of the National Endowment for the Humanities and Guggenheim fellowships, he earned his Ph.D. at Columbia University and is professor of English at William Paterson University in New Jersey. There’s a more extensive bio at Brad’s site. Credits: This episode’s music is Nothing’s Gonna Bring Me Down by David Baerwald, used with permission from the artist. The conversation was recorded at Brad’s office on a pair of Blue enCORE 200 Microphones feeding into a Zoom H5 digital recorder. I recorded the intro and outro on a Heil PR-40 Dynamic Studio Recording Microphone feeding into a Cloudlifter CL-1 and a Mackie Onyx Blackjack 2×2 USB Recording Interface . All processing and editing done in Adobe Audition CC . Photo of Brad Gooch by me. It’s on my instagram.